Sundaram Asset Management Company (Company) has over 20 years of experience in fund management and is a fully owned subsidiary of one of India's oldest and most respected NBFCs - Sundaram Finance Limited. 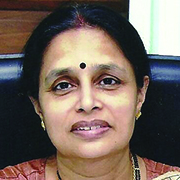 The Company was jointly promoted by Sundaram Finance Ltd and Stewart Newton Holdings (Mauritius) Ltd in 1996. Sundaram Finance Ltd (SFL) was incorporated in 1954, with the object of financing the purchase of commercial vehicles and passenger cars. 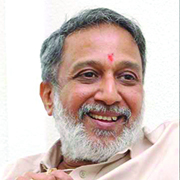 The company was started with a paid-up capital of Rs.2.00 Lakhs and later went public in 1972. SFL is one of the largest non-banking financial companies in India with presence across multiple facets of the Financial Services industry including Vehicle Finance, Home Finance, Mutual Fund, General Insurance and Financial Services Distribution. As of 31 March 2016, SFL Group reported revenues of Rs.5035 crores and profits of Rs.583 crores. Total assets stood at Rs.28,027 crores and Net-worth at Rs.4195 crores at a consolidated level. SFL has grown over the past decades on the foundation of dedicated customer service, fair business practices, efficient, safe and trusted financial policies. Newton Investment Management, founded in 1977, was a leading independent UK-based investment manager at the time of its formation. 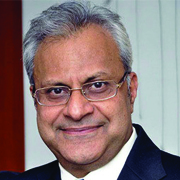 In 2002 following the acquisition of Newton Investment Management by Mellon Financial Corporation, USA the holding of Newton in the Company was acquired by Sundaram Finance Ltd.
BNP Paribas Asset Management, (BNPPAM) France, had entered into a joint venture with SFL and acquired a 49.9% stake in the Company in 2006. Consequent to the global acquisition of Fortis group and Govt. regulations permitting companies to promote only one mutual fund, BNPPAM decided to exit the JV with SFL in 2010. 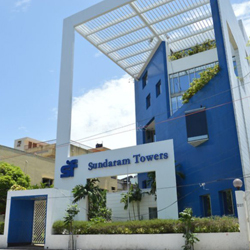 Post that Sundaram Asset Management Company Ltd., is a wholly owned subsidiary of Sundaram Finance Ltd. The Company is headquartered in Chennai and has 93 customer care centers spread across the country, and also has an office in Dubai and own a wholly owned subsidiary in Singapore, formed in 2012. The Company has a strong retail orientation, with strong customer loyalty built on the strength of long term outperformance in the midcap space and an investor friendly dividend payout policy. Sundaram Asset Management offers a range of products in equity, fixed-income and liquid funds spaces that cater to a range of risk, return and liquidity preferences of investors. A strong research team together with a robust process forms the backbone of its Fund Management team which has an enviable track record in identifying “tomorrow’s winners” in the mid and small cap segment. For the fixed income funds, the emphasis is on the credit quality of the portfolio. Sundaram Asset Management has always been innovative and was the first to launch funds in new themes like Mid-cap, Capex, Leadership, Rural India and Micro cap series of funds. Sundaram Asset Management Company Ltd has always and will always strive to hold the highest degree of ethics in all its business dealings and work for the enhancement of value for all stakeholders. 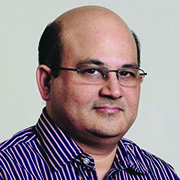 Sunil Subramaniam joined Sundaram Mutual in September 2005.During his tenure he has handled various roles – Vice President (Retail Distribution), Executive Director (Sales and Marketing), Director (Sales and Global Operations), Deputy CEO, CEO before being elevated to his current role as Managing Director. 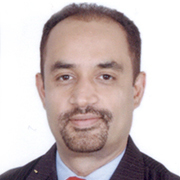 Sunil is also on the Board of Sundaram Asset Management Singapore Pte. Ltd. In his tenure spanning over 13 years, Sunil has handled various responsibilities through which he has been instrumental in expanding Sundaram Mutual’ footprints both domestically and internationally. 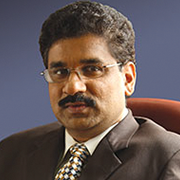 During the time he has been with Sundaram Mutual, the AUM of Sundaram Mutual has seen a manifold growth. 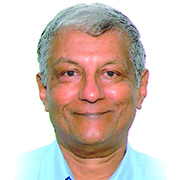 He has over three decades of work experience in the financial services sector spanning across MNC, Public sector and Private sector companies. 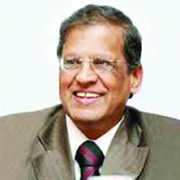 The companies he has worked with include State Bank of India, American Express Bank and Bank of America. 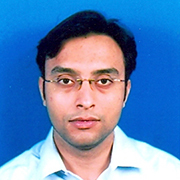 Sunil has Master in Business Administration from The Open University Business School, London and is an MSc graduate from IIT, Madras. 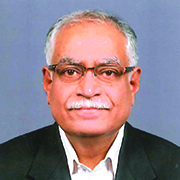 He is also a Certified Associate of the Indian Institute of Bankers. 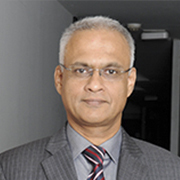 Krishnakumar joined Sundaram Asset Management Company in 2003 as Head of Research. 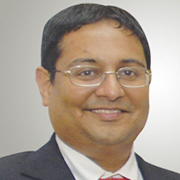 During his tenure he has handled various roles within Fund Management and was elevated to the post of Chief Investment Officer, Equitiesin April 2015. Voted amongst the Top 10 Best Fund Managers by ET Wealth (August ’16), Krishnakumar brings over 20 years of experience in Indian equity markets. 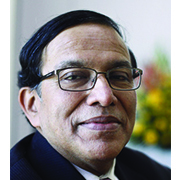 Krishnakumar joined Sundaram Asset Management Company in 2003 as Head of Research. During his tenure he has handled various roles within Fund Management and was elevated to the post of Chief Investment Officer, Equities in April 2015. Voted amongst the Top 10 Best Fund Managers by ET Wealth (August ’16), Krishnakumar brings over 20 years of experience in Indian equity markets. 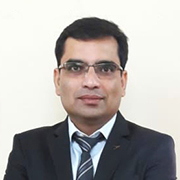 He assumed management of flagship fund Sundaram Midcap in 2012 and also manages Sundaram Small Cap, Sundaram Diversified Equity , Micro cap Series III-IV & VIII-XII & XIV-XVII among others. 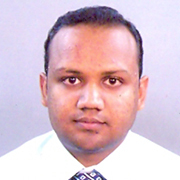 Krishnakumar is an Engineering graduate from Regional Engineering College, Trichy and holds a Post Graduate Diploma in Business Administration with specialization in Portfolio Management from Loyola Institute of Business Administration, Chennai. 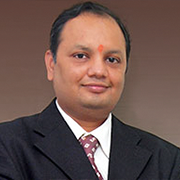 Awarded Best Fund Manager – Debt by Outlook Money in March 2015, Dwijendra Srivastava joined Sundaram Asset management in July 2010. He has over a decades experience in debt markets having had Research and Fund Management stints at Deutsche Asset Management, JM Financial Asset Management and Tata Asset Management prior to joining Sundaram. 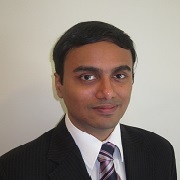 He is the Fund Manager for Sundaram Money Fund, Sundaram Low Duration Fund, Sundaram Banking and PSU Debt Fund, Sundaram Corporate Bond Fund, Sundaram Medium Term Bond, Sundaram Short Term Debt, Sundaram Debt Oriented Hybrid, and also for the close ended funds like Sundaram Hybrid funds and Fixed Term Plans. 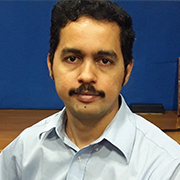 Dwijendra Srivatsava, is a Chartered Financial Analyst and also holds a PGDM (Finance) & Bachelor of Technology (Textile Technology) degree.